Hi guys, this is Andrea from PaperSparrow! 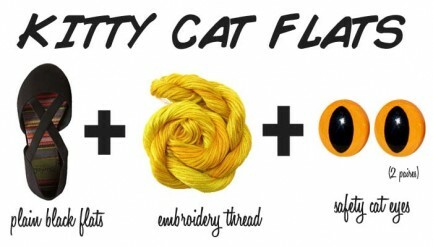 As you may know, I am a smitten kitten when it comes to cute cat fashion. Who isn’t, right? 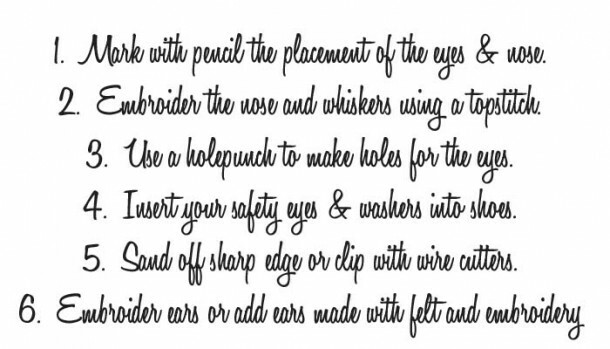 That being said, the price tag on these uhh-mazing items would inspire any DIY-er to get out the needle and thread and get to work. 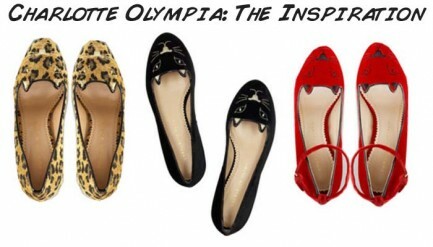 Here is a shoe project inspired by the adorable Charlotte Olympia Embroidered Cat Flats. I love them!! I’m definitely going to be on the look out for some shoes I can do this to. OH MY GOODNESS!!!!!!! These are amazing! 🙂 They’re so so so so so so cute I can’t get over it! Thanks for sharing!! 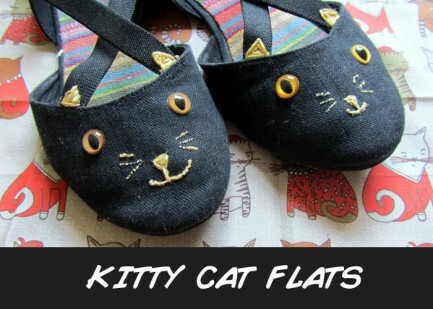 The plain black flats are super on their own, but are made fantastic and cute as Kitty Cat Flats. Love them! 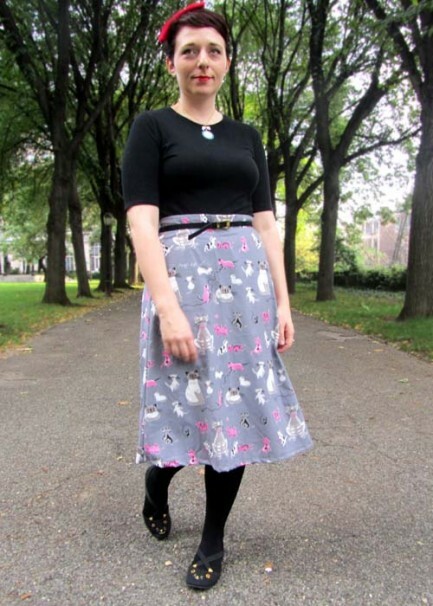 And I love the skirt fabric, too. i love love love loveeee these! 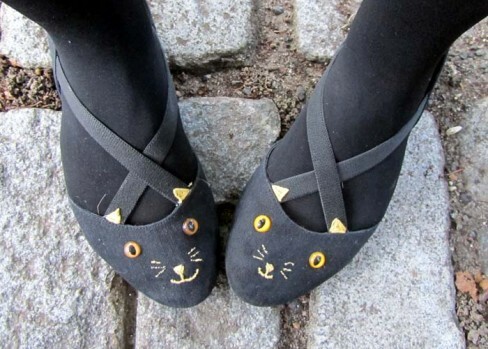 OMG these are so adorable! Can you divulge where you found your shoes?